This fourth of July weekend started when Rome’s friends Lito and Nicki came to visit from Boston. We went to dinner at Nick’s Crispy Tacos and then gave them a tour of the neighborhood. After living in San Francisco, sometimes you forget how tough it is to walk uphill for extended periods of time (sorry guys- hope you’re legs aren’t burning too much!) 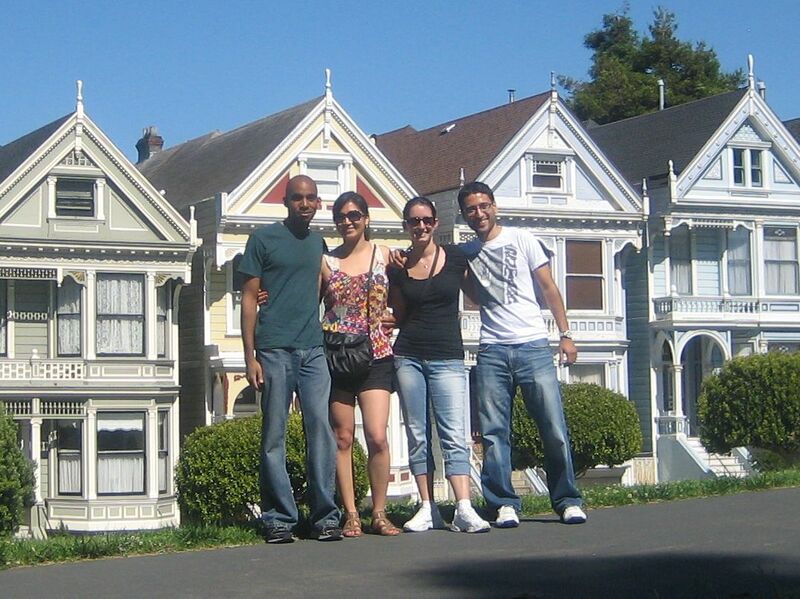 So the next day we decided to go for a drive instead, and saw the famous Full House ”painted laides” at Alamo Square. For the fourth Rome decided to make some ribs. He pre-cooked them for a few hours, and then we made some friends to get use of a barbeque grill on an extremely packed beach. It was worth it though, people loved the ribs! The beach was relaxing, but we didn’t get to stay long since we had to make it down to Phil’s for his awesome barbeque. He really has some skills cooking meat with his new Big Green Egg. Next time we will have to get there early enough to sample some of the slow-cooked pork shoulder. We heard it was pretty fantastic!